In classic tones of Navy/Pink this is a very pretty scrappy print dress and jacket. The dress has pleating over the bodice and the skirt has a wrap over that drapes and the length will sit just below the knee. 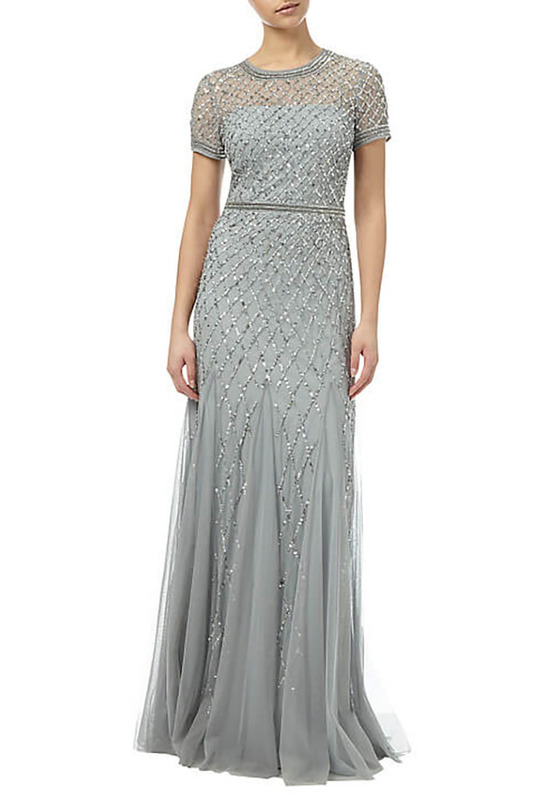 To the waist there is intricate beaded detailing which adds a little sparkle. The lightweight chiffon material has a polka dot print. The matching shot silk bolero jacket is in lotus pink which is trimmed in navy. 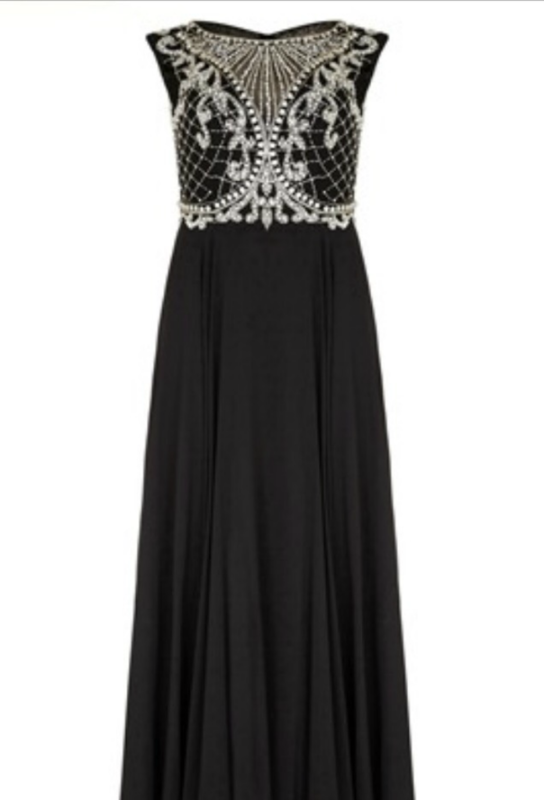 Lovely floaty dress of mother of the bride/groom.